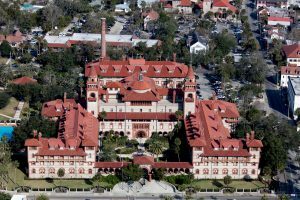 Are you planning a visit to Flagler College? The first step is finding the best accommodations. 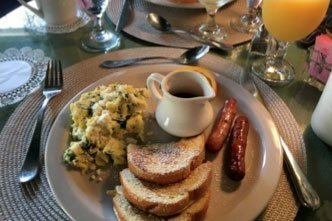 There are plenty of options when it comes to hotels near Flagler College in St. Augustine, FL, but only one bed and breakfast has luxurious rooms, an amazing location, friendly staff, and a delicious breakfast! When it comes to St. Augustine hotels, the choice is clear: Agustin Inn has everything you need to have an incredible stay. 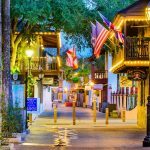 Make the most out of your St. Augustine vacation! Download our free Vacation Guide and get hand-picked recommendations for the best local restaurants, museums, historic sites, and shops! Flagler College has an outstanding alumni program. They are always looking for ways to involve their graduated students. Without a doubt, the biggest program is the Alumni Weekend, which typically takes place in early May. 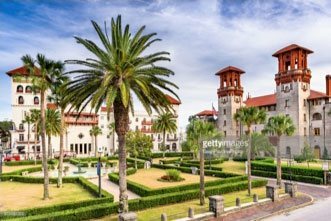 You’ll spend your days touring the college campus, visiting old haunts, and hearing about the current programs held at Flagler College. From the incredible theater department to the charitable events held year-round, there’s always something exciting happening on campus. Before your visit, be sure to check the calendar of events to see if anything catches your eye. Who knows: you may be convinced to extend your trip a day (or two) to enjoy a student showcase or poetry reading! Support your Saints! Be sure to see if there’s a local basketball, baseball, or softball game to catch during your visit. There’s nothing more invigorating than cheering in the stands as your Saints (or Lady Saints) lead their team to victory. Don’t miss out on the action! Whether you’re visiting a student, attending a graduation or alumni event, or touring the campus, be sure to check out what else St. Augustine has to offer! Be sure to tour St. George Street, a pedestrian-only thoroughfare that is home to some of the best shops, museums, and historic sites, in town. A great place to begin your tour is the Old City Gates, which are located at the very beginning of St. George Street. From there, you’ll be able to walk about one mile to Agustin Inn, seeing all the wonderful bakeries, stores, and other attractions that line the street. Be sure to snap some photos of the wonderful Spanish and Colonial architecture. 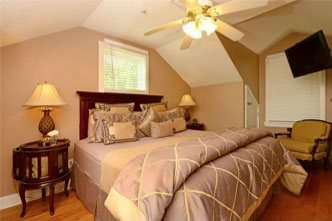 Enjoy gorgeous rooms and a prime downtown location when you stay at Agustin Inn. Many of the town’s best restaurants, bars, and shops are just a short walk from our door! In fact, Flagler Inn is less than a 10-minute walk from Agustin Inn. Plus, when you stay with us, you’ll get to enjoy the best breakfast in town. Indulge in a hot entree made with local, fresh ingredients and served with a perfectly brewed cup of coffee. Be sure to check out our selection of add-on attractions. 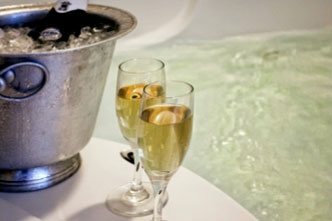 Enhance your stay with a sunset cruise or a trolley tour! It’s all at your fingertips when you stay at one of the best hotels near Flagler College!